Lucid Theology – Thoughts on words, books, theology, and life. Thoughts on words, books, theology, and life. One of the ministry privileges I have while in seminary is in serving in two nursing homes in the Louisville area. I’ve been doing this now for three years and I’ve learned several lessons, which I’ve written about for The Gospel Coalition. In this context, my hope is to become a better and more effective minister of the gospel. In Visit the Sick: Ministering God’s Grace in Times of Illness , Brian Croft recommends a few categories and biblical passages to study and meditate—even memorize—as we minister to those in need. For those in nursing home ministries, these are applicable and useful. There are many other takeaways from reading this book, but I appreciate having a quick arsenal of verses that offer true gospel hope and encouragement to those in greatest need. Ellen T. Charry, By the Renewing of Your Minds: The Pastoral Function of Christian Doctrine. New York: Oxford University Press, 1997. Unlike modern theology that has often divorced the study of theology from spirituality, a study of theologians from the Patristic, Medieval, and Reformation periods reveal that theology has always been wedded together with Christian piety. Ellen Charry seeks to make this case in her By the Renewing of Your Minds: The Pastoral Function of Christian Doctrine (Oxford, 1997). As Charry writes of Augustine, it could be said that her aim is “to persuade the reader that revelation and doctrine work together to reshape our mind and affections and thereby our identity” (133). For her book Charry coins a new term, “aretegenic” (“conducive to virtue”); and each chapter seeks to put forward the “aretegenic” value—or character-shaping function—of each theologian, from early apostles like Paul to Basil of Caesarea to Anselm of Canterbury to John Calvin. For evangelical readers, her thesis is well received but not entirely new. Theologians like J. I. Packer and others have for decades been beating this drum. But Charry, writing from a unique context (she is a professor of systematic theology at Princeton Theological Seminary), seeks to reintroduce this classical emphasis in the academy. It is hard to overstate the influence of John Locke, David Hume, and Immanuel Kant on the ejection of sapience (or wisdom) from categories of truth and knowledge (6-10). In contrast, the theologians of the past “based their understanding of human excellence on knowing and loving God, the imitation of or assimilation to whom brings proper human dignity and flourishing” (18). Indeed, much of the theological inquiry of these theologians was necessitated because of pastoral concerns. Far from ivory-tower musing, this was theology birthed in the often messy realities of life—whether in Basil’s defense of the Holy Spirit’s deity because of its practical import for the believer’s growth in sanctification or Calvin’s affirmation of biblical authority for the Christian’s growth in discernment. These theologians sought to “do” theology not merely for mental titillation but for a “richer life with God” (242). Charry, in sum, drives her thesis home and makes an unassailable case: theology, when done rightly, is always virtue-shaping; this is a biblical model and one best embodied by theologians of the past. Finally, I should note two criticisms. Charry is theologically “conservative” in comparison to many of her peers in the academic guild, but at times she makes statements that many evangelicals will find troublesome. For example, she puts forward the apostle Paul’s “aretegenic” theology but sees his teaching of a wife’s submission to her husband as a failure to fully embody Christ’s lordship. According to Charry’s egalitarian understanding, “these biblical writers . . . were unable to visualize a social structure that both honored the lordship of Christ and distributed responsibilities and skills necessary for preserving family and society evenly” (57). One other criticism is her writing style. Charry is a clear but, at times, dense writer. Some sentences are longwinded while others contain needless qualifiers, a common weakness of academic writing. The book could have used more sub- and sub-sub headings to aid the reader in tracking with the various arguments and trains of thought. That said, I whole-heartedly endorse her thesis and commend it to all who engage in the most noble of studies: God himself. Paul J. Silvia, How to Write a Lot (American Psychological Association, 2007). The basic premise behind Paul Silvia’s How to Write a Lot is that the only way to getting writing done is by writing. Silvia demystifies the craft of writing and reminds us that there is no magic solution: writers simply sit their behinds down (or stand, for the conscientious who prefer standing desks) and put words to paper—or screen. “Instead of finding time to write, allot time to write,” Silvia says. “Prolific writers make a schedule and stick to it. It’s that simple” (12). The key is regularity, he adds, not the amount of time spent. Whether one devotes 4 hours per week or daily blocks of time, it is important to set aside that time which slowly accrues and yields dividends of writing output. Additionally, be specific with goals for the day. Rather than “write today,” set yourself the goal of “write at least 200 words today.” Then reward yourself (e.g., a snack, a coffee, etc.). One suggestion Silvia offers is of forming a writing support group for people who want to write “faster and better.” A colleague of Silvia suggested “agraphia,” the term for the pathologic loss of the ability to write (51). While some writers like to work collaboratively, others prefer to be secluded from the world. Regardless, to greater or lesser degree all writers should have some network to bounce ideas and receive constructive feedback and input. This year I’ve joined an online writers’ consortium hosted by Jonathan Rogers, author of a recent biography on Flannery O’Connor and a trilogy of children’s books (which I highly commend). The desire is to “offer each other encouragement, accountability, advice, and –hopefully—a growing conviction that the long journey of the writer is worth the effort.” If interested, consider joining yourself! Silvia also has a brief section on style. He bemoans the poor writing that infects much of academic writing—academese that is stuffy, impenetrable, and unenjoyable. Silvia encourages writers to choose good words. (I would add choose the right, or precise word.) He writes, “The English language has a lot of words, and many of them are short, expressive, and familiar—write with these words” (61). And Silvia says the writer is to write first and then revise. Many writers are needlessly squander time and mental energy in analyzing each sentence as they write. This often derails the thought progression. “Revising while you generate text is like drinking decaffeinated coffee in the early morning: noble idea, wrong time” (76). Instead of a desire to turn each sentence into a masterpiece, unleash your fingers on the keyboard and freely write. “Your first drafts should sound like they were hastily translated from Icelandic by a nonnative speaker” (76). There are many more takeaways from this book. It is a quick read and I commend to all who want to write a lot. A. G. Sertillanges, The Intellectual Life: Its Spirit, Conditions, Methods (repr; Catholic University of America, 1987). This book is a great distillation of the Catholic intellectual tradition, which has much to offer Protestant evangelicals who care about the school of ideas. Sertillanges reminds us that the intellectual life is a calling. As a Catholic, he recognizes that there is a unity of truth grounded in God himself. While he recognizes the importance of breadth of knowledge, he argues that “true knowledge . . . lies in depth” (118). Sertillanges also wants to fight against intellectual sloth and therefore he presents the intellectual life as arduous: “A real thinker brings a very different spirit to his work; he is carried along by the instinct of a conqueror, by an urge, an enthusiasm, an inspiration, that are heroic” (126). As for reading, Sertillanges warns against “inordinate reading” since the mind “is made gradually incapable of reflection and concentration” (147). He discourages reading daily newspapers: “defend yourself against them with the energy that the continuity and the indiscretion of their assault make indispensable” (149). In sum, he encourages the kind of reading that is an impetus for reflection. Books should inspire our own thinking and reading should awaken reflection (170, 190). “A book is a signal, a stimulant, a helper, an initiator—it is not the substitute and it is not a chain. Our thought must be what we ourselves are” (172). While wary of applying all of Sertillanges’ prescriptions, overall I think he has much to teach young, budding intellectuals, lessons from the classical tradition that have been lost in our day. Sertillanges’ emphasis is that the intellectual life is not ivory-tower musing but ought to lead to a virtuous life. “What matters most in life is not knowledge, but character” (235). In the end, all intellectual inquiry serves the moral make-up of man: “What we know is like a beginning, a rough sketch only; the man is the finished work” (235). I enjoyed his take on writing with a pen: “My style, my pen, is the intellectual instrument which I use to express myself and to tell others what I understand of eternal truth” (201). For him, the pen is “an interior bent, a disposition of the living brain” (201). One can easily think of the intellectual life as a sad, wearying existence, full of deep (useless?) thought but devoid of relaxation and leisure. While Sertillanges does promote great earnestness in this vocation, he encourages play. “To work too long is to get worn-out; to stop too son is to fail in giving one’s measure. . . . Know yourself, and proportion things accordingly” (246-247). As an evangelical Christian, I disagree with his sacramental theology that comes out here and there. Also, he can overstate his case of the need for solitude. As per style, he can be difficult to wade through in certain sections while brilliant in others. (I will note that it was originally written in 1920 and in French.) That said, this is an intellectually stimulating book that has much good to offer us. Read and think. For those interested, Trevin Wax offers distills four thoughtful lessons from this book. Every student of the Bible at one point or another comes to certain portions of Scripture that create confusion, perhaps mixed with a tinge of boredom or imagined insignificance. One such portion is the genealogies found across the Old Testament. This post will examine in cursory fashion a smattering of these genealogies, giving attention to some general considerations of their form, how they function in a text, and conclude with a brief word on the purpose they serve. In so doing, the reader will grasp the importance genealogies play in societies in general and that of the nation of Israel in particular. It is easy to assign one all-encompassing reason for the presence of genealogies in OT, but that would be reductionistic and ultimately unhelpful; genealogies are much more expansive and layered than most readers often assume. In a sentence, genealogies are a record of a person’s ancestral descent. Although genealogies can be passed down in oral fashion, we have them in their canonical-literary form in various portions spread throughout the Old Testament, some short and some long. One helpful distinction made by scholars is that of linear and segmented genealogies. The former provides the name of an individual and then connects him/her to a generation prior (e.g., son and father, etc. ), while the latter can do the same while also providing information within a generation (e.g., brother to brother, etc.). For example, in Genesis 5:3-31 there is a linear genealogy, listing the line from Adam to Noah, one generation at a time. The format is simple enough: When A had lived X years, he fathered B. Also in the book of Genesis, in Gen. 10:1-32, one finds a segmented genealogy. In this example, the emphasis is not so much on the continuity of one generation to the next but rather the geographical spread of Noah’s three sons. A few other odds and ends include the distinction between patrilinear versus matrilinear genealogies; most genealogies in the OT trace the line through the father. Additionally, genealogies can vary in length, although obviously they must consist of at least two generations. There are twenty-six generations from Solomon to the sons of Elioenai in 1 Chronicles 3:10-24. And lastly, there is a degree of fluidity among genealogies where details can vary in various circumstances: (1) a change in relationship among individuals, (2) or an addition of persons or families to the society; (3) or when telescoping is used (i.e., names are removed). It would be easy to assign one overall function to genealogies, but in so doing one would miss the richness of their use in the Old Testament. In this section I will list several functional categories and will seek to provide examples of each. There is a social function to genealogies, especially of the segmented sort, which explore the kinship relationships between individuals. At a horizontal level, these genealogies show the equality of individuals in relation to one another; at the vertical level, they show a level of hierarchy and hence of inequality, not in the inferior sense but that of different role and purpose (e.g., those descended of Levi were priests and thus a man from the tribe of Gad could not become a priest). Another important feature of segmented genealogies is that the OT does not only contain the descendants of the children of Israel but also preserves that of surrounding nations (e.g., Gen. 10:6-7, 21-31; 22:20-24; 25:1-6, 12-20; 36), which serves to show Israel how to relate to its neighbors among other reasons. Another function of genealogies is the establishment of legitimacy. In other words, it confirms the legitimacy a certain person to be included in a group or to serve an official capacity or receive inheritance of a land. These appear most often in linear genealogies which “ground a claim to power, status, rank, office, or inheritance in an earlier ancestor.” For example, in Zephaniah 1:1 the prophet provides a linear genealogy: “Zephaniah son of Cushi, the son of Gedaliah, the son of Amariah, the son of Hezekiah, during the reign of Josiah son of Amon king of Judah.” Among the prophetic authors, only Zephaniah traces his lineage back to the fourth generation, highlighting its particular importance. The reference to Hezekiah, as Adele Berlin notes, suggests a connection to the kinds reforms, which “hints that Zephaniah’s apparent support of religious reform in his own day has an origin in his family history.” In this case, there is a certain weight of legitimacy given to Zephaniah’s ministry as he seeks to turn Judah back to the Lord. On a similar front, this legitimizing role is at play in postexilic texts like Ezra and Nehemiah where Jews are returning home and the priesthood needs to be reestablished. It is clear that descent from Aaron was a necessary qualification for the priesthood (cf. Num. 16:40). Unless such lineage could be proven, there would be no right to claim priestly prerogatives or roles. Ezra 2:62 unequivocally states that certain individuals’ names were not found in the family records and as a result were “excluded from the priesthood as unclean.” The emphasis here is on a rigid safeguard to ensure the purity of devotion to the Lord. The most notable and lengthy of the OT genealogies is found 1 Chronicles 1-9. Most readers often skim over this section if not outright ignore it. H. G. M. Williamson is correct in observing that “few biblical passages are more daunting to the modern reader than the opening chapters of 1 Chronicles.” Even modern commentators face this daunting challenge. Adam Welch, for example, believes these genealogies were not original to the book of Chronicles because they “have no unity among themselves and are not integrally related to the rest of the book.” But this assertion need not be so. The problem often arises when modern readers impose modernistic assumptions on the text, demanding a purely historical purpose to the genealogies inclusion in Chronicles. For sake of space, I argue that the Chronicler’s use of genealogy gives a panoramic view of the human background of emergence of the nation of Israel. Two key theological features in this use of genealogy, when taken as a whole, is (1) the hope-giving confidence that God is sovereign over the course of history and that (2) God is faithful to his covenant people. Moreover, this genealogy culminates in the Chronicler’s present day with his own generation, tucked away in exile in the Persian Empire. The entire sweep of history beginning with Adam in 1 Chronicles 1:1 is closely tied with the legitimizing function but it is more in that it gives this small remnant a sense of history rooted in the character and promises of God. Another theological function is found in Genesis 5:3 where it says, “When Adam had lived 130 years, he fathered a son in his own likeness, after his image, and named him Seth” (emphasis mine). This is clearly a hearkening back to Genesis 1:26 where God says, “Let us make man in our image, after our likeness.” The inversion of the order is a literary device that points back to the original statement. Moreover, as Wilson notes, “Adam genealogically transmits the divine image and the blessing to his son. The entire linear genealogy thus deals with the transmission of the divine image and the blessing through a series of firstborn sons. The genealogy thus has a theological function.” The author of Genesis thus makes a theological point that the image and likeness of God continues down the line of Adam. More to the point, the Fall of man in Genesis 3 does not entirely obliterate the image and likeness of God in which he was created. The historical function serves to order the information of the past in order to make sense of and better understand the present. The clearest example of this is the concluding verses in the book of Ruth. There are ten generations listed, from Perez to David. If the purpose of genealogy was purely to demonstrate the royal line of David, then reference could have been made to Judah, the father of Perez, who after all received Jacob’s prophetic blessing that the “scepter” would depart from Judah (Gen. 49:10). Instead, it seems more likely that this genealogy was appended in order to fill out some of the historical details; reference was made to Perez and David in verses 12 and 17 respectively, and so the reader would naturally ask, How did we get here? 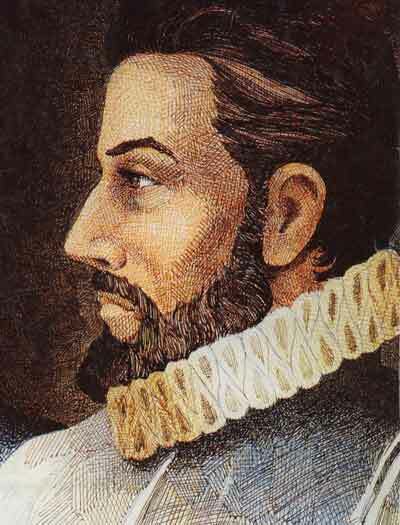 Daniel Block, therefore, maintains that the key to this genealogy’s inclusion is found in the narrative section that precedes it and the relative silence as to the connection of these characters. Observing a similar arrangement, Brian Kelly argues that “Levi is placed in the literary and spiritual center of the Chronicler’s ideal conception of Israel.” Along with Judah and Benjamin, the Chronicler also suggests that Levi will play an essential role in maintaining Israel’s heritage in post-exile as it had done so in the past. Again, there is a legitimizing element at play here since there is a need for purity of descent within the priesthood, especially in the postexilic period. Another literary dimension is the genealogical inclusion in narrative sections. One easy example of this is Ruth 4:18-22, which we already examined in detail above: the presentation of a ten-generation-long genealogy, however simple, speaks volumes to the reader as to the promise-keeping nature of God (cf. 2 Sam. 7:16). The census list in Numbers 1:3-46 (and then re-done thirty-eight years later in 26:4b-51), although not a classic genealogy, functions in many ways like a genealogy. The most immediate reason for its inclusion in the book of Numbers is to count all the men over the age of twenty (Num. 1:3) who would be fit for military service — a kind of preliminary draft. The repetitive formula in this census is (1) tribal nomenclature, (2) military conditions of enlistment, (3) clan and familial basis, (4) tribal name reiterated, (5) tribal total. Although the lists in Numbers display a somewhat altered form from the genealogies and tribal lists of the book of Genesis, they perform similar literary and theological functions. They mark major structural divisions. They make a theological claim about the continuity of the covenantal promises and laws given to the patriarchs for each succeeding generation. They make a theological claim for the inclusiveness of the covenant promises and laws for all Israel. Furthermore, the expanded segmented genealogies of Numbers 26 suggests a partial fulfillment of the promise of an abundance of descendants which was given to the patriarchs in the Genesis narrative. It is clear, then, that while a genealogy may function militarily, it also serves in a theological sense and social sense among others. 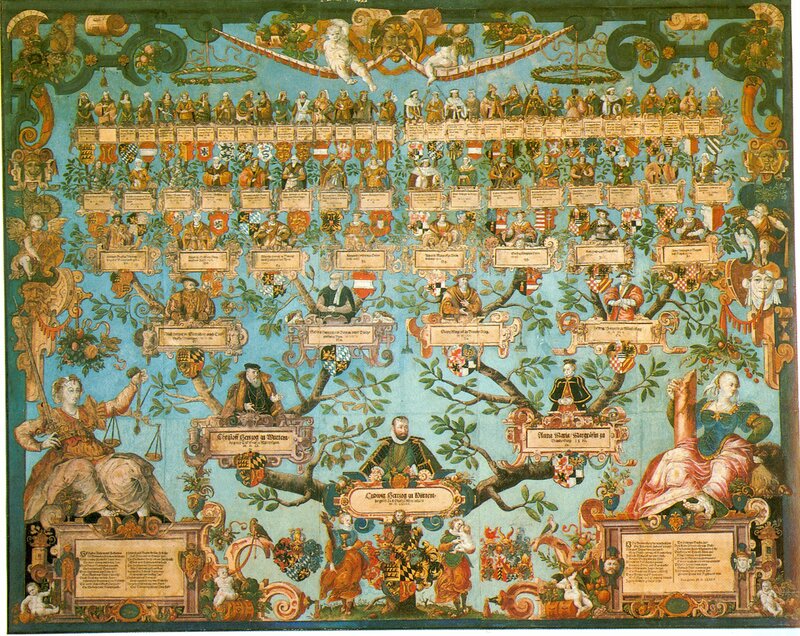 For the sake of clarity of argument, this post has sought to somewhat neatly categorize the various functions of genealogies, and obviously many clearly operate on one or two main levels. But the nature of the Old Testament and the God that it gives testimony to, does not allow the modern reader to impose these categories onto the text as a straightjacket. Instead, these categories serve as an invitation to us modern readers to better grasp initially off-putting passages like genealogies. This study serves to remind us, as Paul told Timothy in reference to the Old Testament, “[a]ll Scripture is inspired by God and profitable for teaching, for reproof, for correction, for training in righteousness” (2 Tim. 2:16). The purpose of Old Testament genealogies is the purpose of Scripture: to transform God’s people in all ages into a righteous people ready to serve him in every good work. Although seemingly jarring or boring at first, genealogies (1) remind us God’s care and concern for individuals; (2) they remind us that God cares for how his people relate to each other and others around them; (3) they remind us that God’s infinitely concerned with his own holy standards while at the same time patient with weak and sinful people; (4) they remind us that God always has had and will always have a faithful remnant through the ages; (5) they remind us that God keeps his covenant promises; (6) they remind us that God is intimately acquainted with and sovereign over every epoch of human history; (7) they remind us that God uses an unworthy people to act both as his emissaries of grace and swords of judgment; (8) and they remind us that God is wonderfully creative, and among the various genres of Scripture one of them is genealogy. Of course, there are genealogies in the NT (Matthew 1:1-17; Luke 3:23-38). The focus of this purpose, however, is solely on those in the OT. So D. S. Huffman, “Genealogy,” in Dictionary of Jesus and the Gospels, ed. Joel B. Green and Scot McKnight (Grand Rapids: InterVarsity Press, 1992), 253. J. W. Wright, “Genealogies,” in Dictionary of the Old Testament: Historical Books, ed. T. Desmond Alexander and David W. Baker (Grand Rapids: Inter-Varsity Press, 2003), 346. James T. Sparks, The Chronicler’s Genealogies: Toward an Understanding of 1 Chronicles 1-9, Academia Biblica 28 (Atlanta: Society of Biblical Literature, 2008), 15. The LXX allows four more generations, giving thirty in total. Cf. Gary N. Knoppers, I Chronicles 1-9: A New Translation with Introduction and Commentary, The Anchor Bible (New York: Doubleday, 2003), 334. Robert R. Wilson, Genealogy and History in the Biblical World (New Haven: Yale University Press, 1977), 27–36. See also Sparks, The Chronicler’s Genealogies: Toward an Understanding of 1 Chronicles 1-9, 18–21. These categories are adapted from Marshall D. Johnson, The Purpose of the Biblical Genealogies, 2nd ed. (Eugene, OR: Wipf & Stock Publishers, 2002); John H. Walton, “Genealogies,” in Dictionary of the Old Testament: Historical Books, ed. Bill T. Arnold and H. G. M. Williamson (Downers Grove, IL. : IVP, 2005), 309–316. Robert R. Wilson, “Genealogy, Genealogies,” in The Anchor Bible Dictionary, vol. 2 (New York: Doubleday, 1992), 931. Kenneth L. Barker, Micah, Nahum, Habakkuk, Zephaniah, New American Commentary 20 (Nashville: Broadman & Holman, 1998), 408–409. Adele Berlin, Zephaniah: A New Translation with Introduction and Commentary, The Anchor Bible 25A (New York: Doubleday, 1994), 65. H. G. M. Williamson, 1 and 2 Chronicles (Grand Rapids: Eerdmans, 1982), 38. J. A. Thompson, 1, 2 Chronicles, New American Commentary 9 (Nashville: Broadman & Holman, 1994), 48. Cf. ibid., 48–49. For a helpful extended discussion on this theme, see Michael Wilcock, The Message of Chronicles: One Church, One Faith, One Lord, The Bible Speaks Today (Downers Grove, IL: Inter-Varsity Press, 1987), 19–31. So K. A. Mathews, Genesis 1-11:26, New American Commentary 1A (Nashville: Broadman & Holman Publishers, 1996), 310. Wilson, Genealogy and History in the Biblical World, 164. So Daniel I. Block, Judges, Ruth, New American Commentary 6 (Nashville, Tenn: Broadman & Holman Publishers, 1999), 735. Reproduced from Knoppers, I Chronicles 1-9: A New Translation with Introduction and Commentary, 261. Brian E. Kelly, “1 and 2 Chronicles,” in The ESV Study Bible, ed. Wayne Grudem, C. John Collins, and Thomas R. Schreiner (Wheaton: Crossway Bibles, 2008), 711. Knoppers, I Chronicles 1-9: A New Translation with Introduction and Commentary, 264. R. Dennis Cole, Numbers, New American Commentary 3B (Nashville: Broadman & Holman, 2000), 76–77. Dennis T. Olson, The Death of the Old and the Birth of the New: The Framework of the Book of Numbers and the Pentateuch, Brown Judaic Studies 71 (Chico, CA: Scholars Press, 1985), 187, quoted by Cole, Numbers, 76. David P. Barshinger. Jonathan Edwards and the Psalms: A Redemptive-Historical Vision of Scripture (Oxford, 2014). For many decades the view often portrayed of Edwards has been that of philosopher, theologian, and revivalist. What’s often missing is that first and foremost Edwards was a student of the Bible—”he was at his core devoted to the glorious God of Scripture and to mining that Scripture for truth” (3). Barshinger seeks to amend this scholarly oversight of Edwards studies by offering the first book-length treatment of Edwards’ approach to a book of the Bible. In the opening chapter Barshinger helpfully situates the Psalter in Edwards’ world. Present as an undercurrent throughout the work Barshinger uses four key Puritan interpreters of the Psalms in the 17th century: David Dickson (1583–1663), John Trapp (1601–1669), Matthew Poole (1624–1679), and Matthew Henry (1662–1714). This comparison enriches one’s study of Edwards’ exegesis of the Psalms by showing the similarity and divergence of Edwards with his Puritan predecessors—where Edwards’ hunkered down in the hermeneutical fort and where he blazed down his own interpretive path. This enlarges the book by perhaps a third if not more, but one can easily bypass these points of comparison by ignoring the footnotes. Edwards’ continual emphasis on the history of redemption serves at the skeletal structure for each of the chapters: God and Scripture (ch. 2), Humanity and Sin (ch. 3), Christ (ch. 4), Spirit and Gospel (ch. 5), Christian Piety (ch. 6), and Church and Eternity (ch. 7). I found the analysis on Edwards’ Christian piety to be a devotional experience, particularly the discussion on the Psalms as a book for Christian living (pp. 283–307). With the anemic worship that ails the contemporary Christian church, this is both a timely and encouraging portion of the book. Barshinger provides a helpful appendix where he details all of Edwards’ 104 extant sermons on the Psalms and where they can be found. Most helpful, however, is the Scripture index. Preachers and students of Edwards will appreciate the ease of having a ready resource on what Edwards thought on any given psalm (the only psalms not referenced are 54, 83, 120, and 150). This is a wonderful study that is not only academically profitable but exegetically informative. Many pastors and students of Edwards will appreciate this work. One only hopes other students will take up similar studies on Edwards’ approach to other biblical books. On a related note, in footnote 43 on page 371 Barshinger alerts us to a forthcoming book by Douglas Sweeney where he will offer a synthesis of Edwards’ exegesis of the whole Bible: Edwards the Exegete: Biblical Interpretation and Anglo-Protestant Culture on the Edge of the Enlightenment (Oxford). Needless to say, students of Edwards will eagerly await this volume! Full Disclosure: I received a complimentary copy of this book from the publisher in exchange for an honest review.